We are pleased to give you a sneak preview of Ignacio Acosta’s talk, set to take place at the Bluecoat on Sunday 17 May. 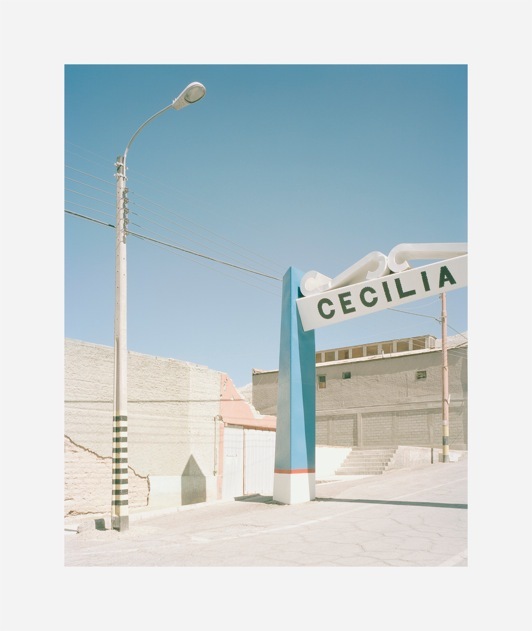 For this occasion, we present a selection of work from the series Miss Chuquicamata, the Slag. You can see the work in its entirety here. Across northern Chile, ghost towns are a fervent reminder of what once was. The dried up nitrate industry – central subject of Xavier Ribas’ aptly-named Nitrate series, on display at the Bluecoat from 11 April to 5 June – collapsed in the 1950s, leaving behind the empty shells of towns and industrial sites that no longer serve a purpose. One settlement out in the Atacama Desert however, is an anomaly: Sitting on the edge of the Chuquicatama mining field, home to the world’s largest open cast mine, is a town by the same name. Established in the early 20th century by the Guggenheim Brothers of New York, the town existed as a semi-autonomous sub-state within the Chilean province of El Loa. Created solely to increase the efficiency of the mine, only workers and their families were permitted to live there. The resulting working-class gated community was owned by the Guggenheim family, a quasi-governing body as well as an employer, but the inhabitants benefited from the housing, education, healthcare, and retail provided for them. Today, the mine is owned by Codelco, a state-owned copper mining corporation, and production remains heavy: despite almost a century of consistent exploitation, Chuquicatama remains one of the most copper-abundant areas in the world. But with such heavy industry comes the inevitable price of the pollution and contamination of surrounding areas. The town of Chuquicatama fell not with the collapse of an industry, but because the industry itself has constantly retained such a high-level of output. The town bid farewell to its last remaining occupants in 2007 in order to comply with new international environmental policies. An essential part of his wider Copper Threads series, Ignacio Acosta travelled to Chuquicatama in 2012, five years after the ultimate closure of the town. There, he addressed the issues of these communities, designed by and for mass-production, existing for the sole purpose of maintaining output and economic power. The resulting series of photographs – wittingly titled Miss Chuquicatama, the Slag after the gradual disappearance of the town’s structures under waste material, referred to in the mining industry as slag – documents its disintegration. The empty rows of cookie-cutter homes and shop fronts beg questions of capitalist sustainability and the future of such systems.